On to another chaotic week? Don't worry, though -- we're still going to publish posts and podcasts about other things as well, to the extent that this ongoing controversy doesn't interfere. Image source: shutterstock.com (modified) License: PaidFrancis takes the Fifth Amendment? 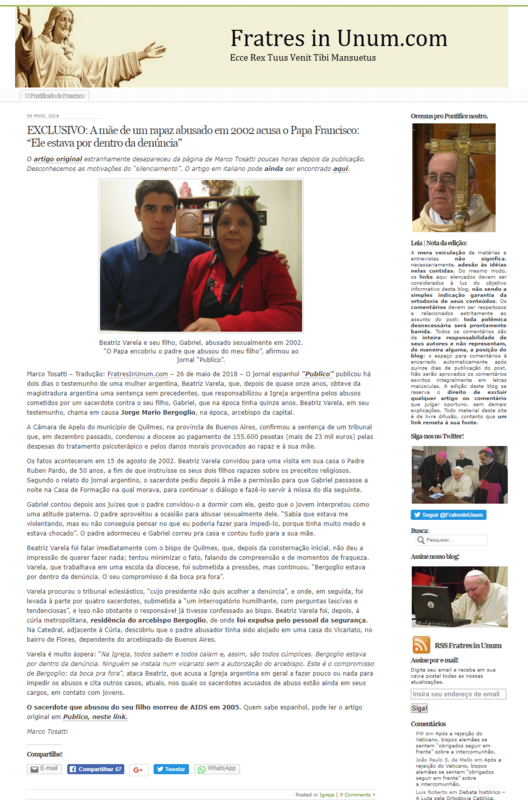 On May 26, 2018, high-profile Vatican journalist Marco Tosatti posted on his blog an explosive story about Francis’ past in Buenos Aires that was removed again after publication without explanation. Thankfully, a cached copy of the post is available online here. A Portuguese translation of the Italian text was published at Fratres in Unum, and the semi-trad web site Tradition in Action has made available an English report on the contents of the Tosatti post, with additional commentary.